Cohen deleted a picture of himself standing behind a Trump podium. 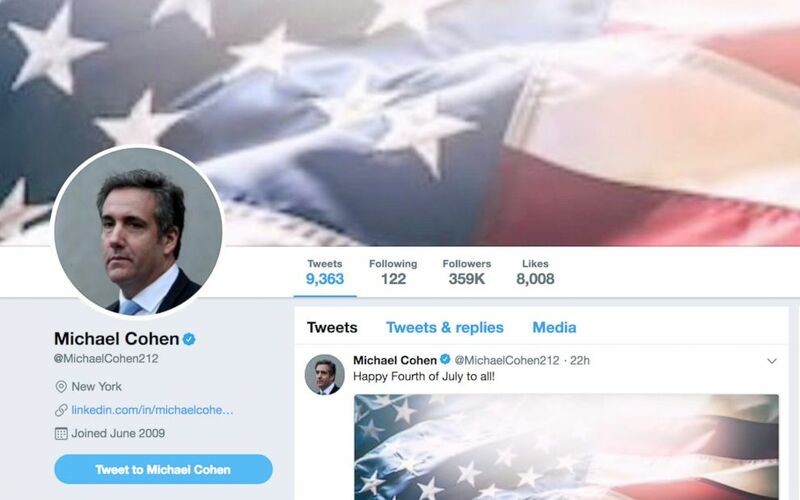 Michael Cohen, President Donald Trump's former personal attorney and loyal fixer, scrubbed all mentions of Trump from his Twitter bio on Independence Day. 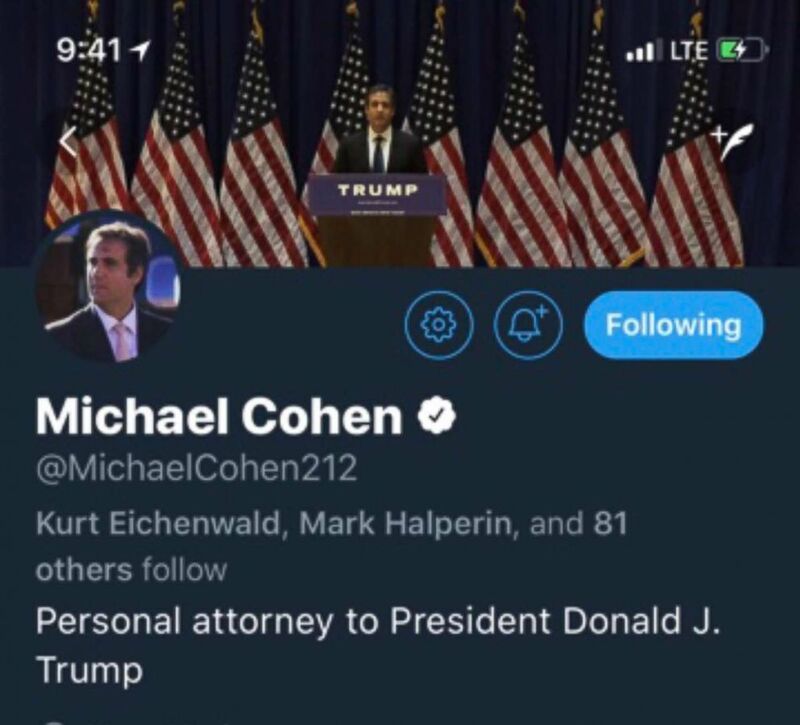 Cohen changed his Twitter header photo, which previously showed the attorney standing behind a Trump campaign podium, to a picture of the American flag and deleted “Personal attorney to President Donald J. Trump” from his bio, replacing it with his LinkedIn page. Below are screenshots taken by ABC News of Cohen's Twitter header before July 4 and after. (Michael Cohen/Twitter) A screen shot taken by ABC News of Michael Cohen's Twitter header before July 4, 2018. (Michael Cohen/Twitter) A screen shot taken by ABC News of Michael Cohen's Twitter header as of July 4, 2018. ABC News has reached out to Cohen for comment. Cohen spoke with ABC News in an exclusive interview, where he told George Stephanopoulos last week that his “first loyalty” is to his family and his country — not to Trump. Prosecutors in New York’s Southern District are investigating Cohen for alleged violations of election law and possible financial crimes associated with his personal business dealings after special counsel Robert Mueller's team referred some potential legal issues related to Cohen’s personal finances and businesses. Federal agents launched an early morning raid in April at Cohen’s home, office and the Manhattan hotel room where he was then staying, seizing millions of pages of documents, records and electronic devices. Cohen recently retained a new attorney, Guy Petrillo, a highly-regarded former prosecutor who once led the criminal division of the same U.S. Attorney’s office in Manhattan that is conducting the criminal investigation of Cohen. Former Clinton White House official Lanny Davis has joined Cohen's legal team. Davis is best known for his work with Bill Clinton during his impeachment proceedings. ABC News' James Hill and Eliana Larramendia contributed to this report.